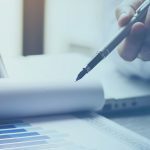 Customer relationship management (CRM) software can help disaster restoration companies manage and grow their business by streamlining sales processes, keeping customer data organized, and providing insightful analytics. Today, there are more CRM options available for companies of all sizes than ever before. Some are robust solutions, others are simple, and some are even free. Use these tips to narrow down your options and choose the best fit for your restoration business. 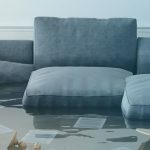 The disaster restoration company business model is a unique one, even when compared to the similarcontractor and renovation businesses. The pricing and parameters of jobs are often dictated by a third party or insurance company, and noncompliance with the requirements can result in nonpayment. Unlike traditional work orders, payment is dependent on specific milestones rather than final results. To manage and grow your restoration business, you need easy access to reportingon business KPIs. LuxorCRM is the only CRM system designed specifically for disaster restoration companies. 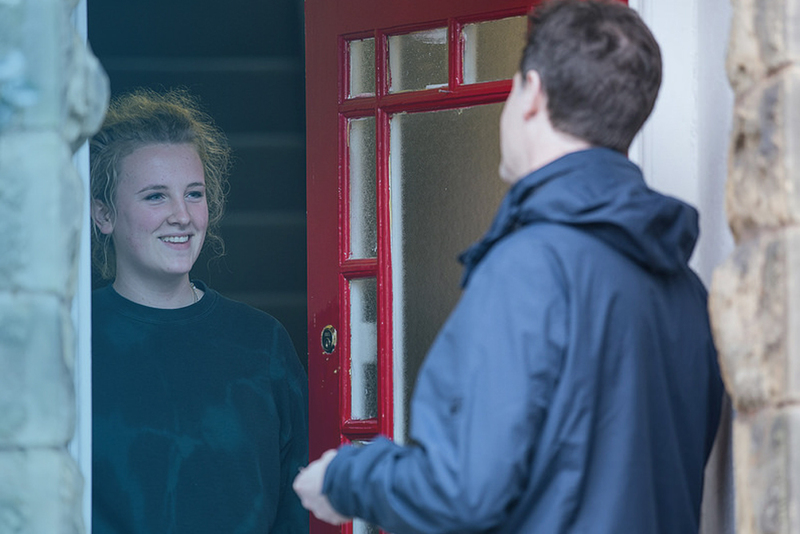 Owners will benefit from understanding the sales pipeline better. LuxorCRM offers easy to use reports covering the source of referrals and their value so that sales managers can judge the reliability of their referral partners. Reporting can also help business owners diversify referral sources so that the business isn’t overly dependent on one source. Potential customers call your restoration company after experiencing a disaster that is causing downtime and frustration. They wantthe fastest, easiest fix possible. Conversion from referral to sale is a factor of how fast yoursales team can create a work order and schedule a restoration crew. Your customers want an informed sales interaction that addresses their issue quickly and solves other potential problems before they happen. Prolonged phone tag and unreturned emails result in potential customers taking their business elsewhere. LuxorCRM creates a sales process and makes it easy to onboard new sales reps. New team members have complete account history available, including details about customer site, service history, and restoration requirements. 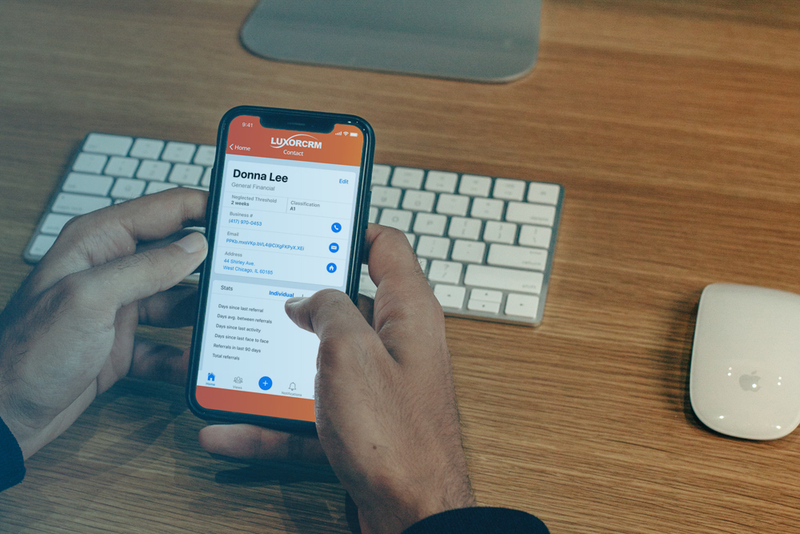 Sales managers can oversee and support multiple salespeople through the LuxorCRM platform as they convert quotes into work orders and kick off new jobs. The streamlined conversion of inquiries into jobs will boost your revenue and lower the risk of losing business in the transition. In a recent customer survey, 92% said they would stop doing business with a company after three or fewer poor customer service experiences; 26% would stop after just one. Your customer service team needs Customer Relationship Management software that allows them to respond to each inquiry, resolve cases more quickly, and proactively schedule jobs. You need a solution that gives your team the real-time information they need to convert calls to work orders and increase customer satisfaction. Knowing what jobs are in the pipeline allows you to assign salespeople to the most critical disaster recovery jobs first. Sales teams can use the organized, comprehensive customer information to make smarter decisions on the fly. 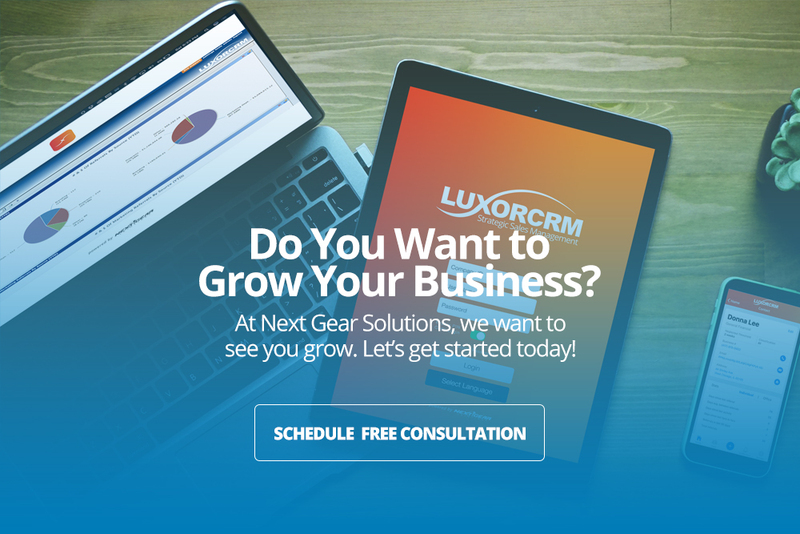 Eliminate repetitive paperwork, and create an efficient workflow process that focuses on operational priorities with Next Gear’s LuxorCRM. Empower your team with real-time customer and contractinformation so they can make faster decisions and grow your business. LuxorCRM helps your sales team maximize business revenue by streamlining workflow, prioritizing high-value projects, and helping your team convert prospects to jobs. With the best CRM systems, your sales reps have every tool they need to communicate, check contract coverage, scan assets, and view the service history for every customer. Real-time documentation allows every employee to manage projects and jobs from any location. Drive sales in similar verticals by using high-level data to identify comparable and related opportunities. With all the information organized for easy retrieval, it’s simple to isolate pricing agreements, materials, inventory, job history, and more. From the first phone call until the final contract, LuxorCRM will help sales teams manage the business more efficiently. If you want information on who your customers are and how they got into your pipeline, you need a CRM for your restoration business. With built-in reporting tools, managers can measure customer satisfaction over time and give useful insights into the productivity of individual salespeople. 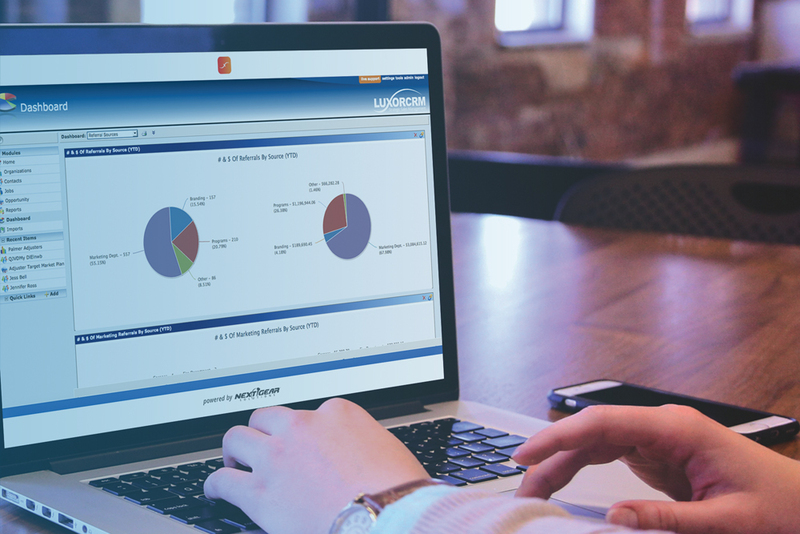 The LuxorCRM system provides valuable insight into how effective your sales process is and allows you to measure overall performance and pinpoint weaknesses. Monitor the progression of referrals into customers, and take advantage of the powerful insight offered by the LuxorCRM platform to know where to place your most valuable and successful sales assets. How Can a CRM Help My Restoration Business? There are more CRM options available for small businesses than ever before, but your restoration business needs one that is designed to handle the complex third-party referrals, supplier mandates, and reimbursement procedures. Next Gear Solutions LuxorCRM system is explicitly designed to meet the unique needs of the disaster restoration business. Don’t risk reimbursement because you can’t find the files or photos needed to meet the insurance requirements. LuxorCRM gives your team an end-to-end solution to manage your disaster restoration business. 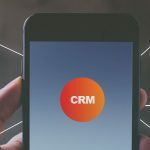 Schedule a demo of LuxorCRM to see how the powerful CRM software solution can streamline sales and service, speed reimbursement, and increase customer satisfaction.